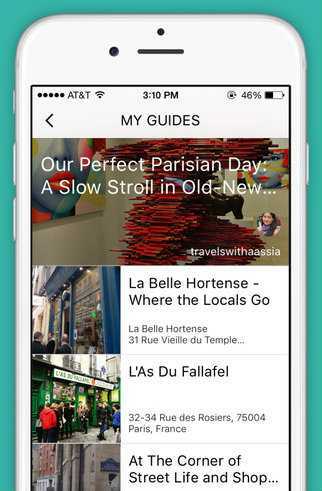 Guidrr lets online travel influencers monetize their audience by creating self-guided tours that can be purchased in-app. As a digital nomad, there are certain online tools that definitely make my life easier. However, most of those tools — AirBnB, Foursquare, TripAdvisor — are really oriented toward short-term tourists. As a result, you’ll see stuff like McDonald’s being rated as one of the top restaurants in Kuala Lumpur (true story). And if you rely solely on those tourist-focused apps, you also miss out on a lot of awesome local stuff that might never come across your iPhone otherwise. Guidrr lets people who already have influence online – either through their own travel blogs or on social networks like Instagram – monetize their influence. People can apply to be a “Creator” on Guidrr, and then create tours in whatever city they’re in. Users will then be able to pay for and download those tours in order to experience a new place in a totally different way. It’s a great way for travelers to find new places and make new connections, but it’s also an awesome way for influencers to get away from the freemium model and diversify their revenue streams. Even though they’re brand new, Guidrr is already building a roster of influencers to help guide people through the coolest places around the world. So, whether you’re an influencer yourself or just have a serious case of wanderlust, head over to Guidrr and check out what they’re doing today.